Quite literally in a class of their own, our StyleLine windows and doors are manufactured using the very latest uPVC technology. The StyleLine range, available exclusively from Sternfenster, introduces uPVC products of the highest quality, featuring an exquisite, seamless finish of the sash and outerframe. 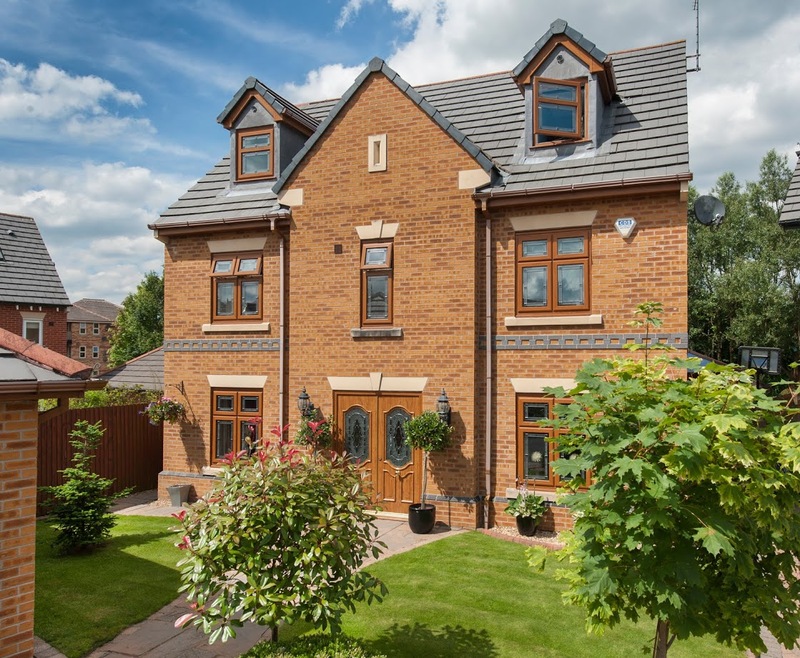 Our StyleLine windows are manufactured using state-of-the-art technology which enables us to produce uPVC products of superior design and quality. 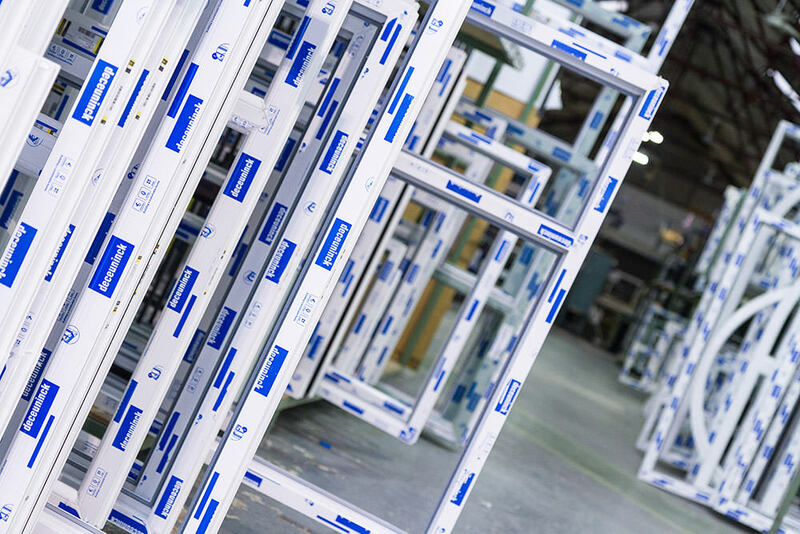 Sternfenster is the UK’s first fabricator to use the state-of-the-art Seamless Quad Welder from Graf Synergy, which enables us to produce windows and door of superior quality. It allows us to produce a beautiful, seamless finish of the sash and outerframe. Our StyleLine windows provide you with a consistent, high quality finish throughout. Every uPVC window goes through a stringent manufacturing process in order to provide you with a flawless design and stunning aesthetics. The impeccable finish is StyleLine’s trade mark, but our exclusive windows and doors are also stronger and more resistant, thanks to a revolutionary welding process that completely eliminates the grooving stage, resulting in no loss of vinyl at the corner joint. Most uPVC windows and doors are currently finished with unattractive grooved corners as a result of the corner cleaning stage. However, with our revolutionary machinery, the excess plastic is actually pushed inside the chambers, making the corner cleaning process completely redundant. Highly secure, each StyleLine window comes with a multi-point shootbolt locking system, with key locking handles as standard. Steel reinforcing, internal beading and incredible weld strength also makes our products innately strong. We are proud to be able to offer incredible StyleLine windows and doors at great prices. These windows are at the forefront of the uPVC double glazing market due to their innovative manufacturing process that produces beautiful windows with classic heritage aesthetics. Thanks to higher productivity, we’re also able to offer our StyleLine windows and doors at great trade prices. Take advantage of the uPVC market and position yourself ahead of competition with our unique range of high quality seamless windows and doors. Contact us to find out more. Not only do these windows look stunning but they also possess outstanding weatherproofing performance. With WER (Window Energy Rating) of A as standard, you have the option for further enhancement by choosing triple glazing. Clever design features such as double weather seals, low sightline gaskets and super space bars result in incredible energy efficiency. A stunning aesthetic is created by the seamless finish of corner joints, which sets these windows apart from the competition. The heritage appearance can be enhanced with options for full leaded glass, Georgian bars and an extensive range of stains and bevels. Our StyleLine windows and doors are compliant with the British Standard Kitemark and Secured by Design standards. Following the recommendations from the Association of Chief Police Officers (ACPO), we are able to supply products that comply with the very latest European security standards, including BS7950 and PAS24. Our frames are steel reinforced and possess enhanced weld strength to provide phenomenal rigidity. Some of the features that enhance these windows include internal beading, key locking handles and multi-point shootbolt locking mechanisms with additional security claw locks.